Shohei Ohtani had his first truly bad game of his young MLB career tonight, as the Japanese phenom only pitched two rocky innings against the Red Sox before he got pulled by his manager. Mookie Betts set the tone for the outing, hitting a 3-2 pitch into left-center field for a lead-off homer, and Ohtani couldn’t quite recover from there. While it’s been fun to overreact a bit through Ohtani’s monster start in America, it’s also probably best not to give too much weight to this poor outing. 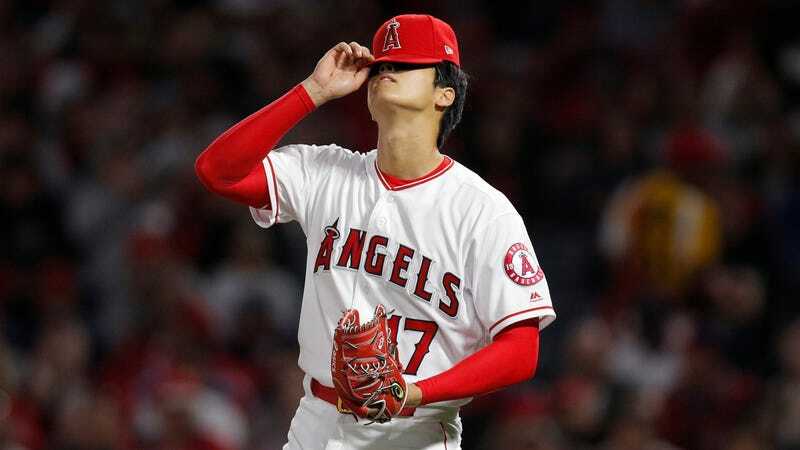 The Angels have made it clear that they are going to be extremely cautious with their two-way talent, and the official team line is that Ohtani was yanked not for the performance, but for a blister on his pitching hand. Had he been left in the game, Ohtani would have still had plenty of time to acquit himself. But even though he couldn’t last against Boston—for whatever reason—Ohtani’s two previous stellar starts balance out his stats nicely, and like all rookies, his path through the majors was always going have some bumps. Short, unsatisfying outings like this one are part of the ride.